BRUSSELS — Defence ministers from across the NATO alliance meet in Brussels on Thursday to review next steps in the Afghanistan conflict and brainstorm ways to deal with the 16-year-old security crisis. NATO this week announced it would be sending some 3,000 extra troops to the war-torn country, bringing the Western military footprint up to about 16,000 soldiers. The additional troops, most of them American, will help train and advise local Afghan forces who have struggled to hold the Taliban at bay while suffering heavy casualties. NATO leaders are optimistic that 2018 could see Afghan forces start to gain momentum against the Taliban, thanks to renewed training efforts, a growing air force and thousands of extra Afghan commandos. 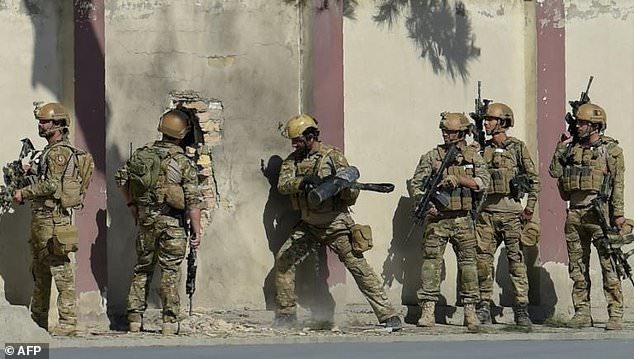 Plus US President Donald Trump has given American forces greater leeway in how and when they can hit the Taliban, and Afghan forces are increasingly going on the offensive. Speaking ahead of the NATO defence ministers summit in Brussels, Secretary General Jens Stoltenberg said the alliance would boost its presence "to help the Afghans break the stalemate, to send a clear message to Taliban to the insurgents that they will not win on the battleground". Immediately following the NATO summit, US Defence Secretary Jim Mattis will host a separate meeting with partners from the coalition fighting the Islamic State group in the Middle East, where the jihadists continue to lose territory. Mattis said coalition partners are looking to the United States for a clear plan about what follows the physical defeat of IS. "Maybe three-quarters of the questions I am getting asked now is (about) going forward. It’s not about are we going to be able to stop ISIS, are we going to be able to overcome ISIS. They are now saying: ’What’s next? How is it looking?’" Mattis told reporters this week using another acronym for the group. Following back-to-back losses, including of their Syrian and Iraqi strongholds of Raqa and Mosul, IS fighters are down to defending their last holdouts along the Euphrates River valley. America’s military involvement in Syria has until now been focused solely on fighting IS, but with the jihadists on the ropes, Washington must articulate its longer-term interests and what role, if any, US forces will play in Syria. A French source said allies were keen to hear what Mattis had to say about the role of Iran -- a key supporter of Syrian President Bashar al-Assad -- following Trump’s tough rhetoric against Tehran.